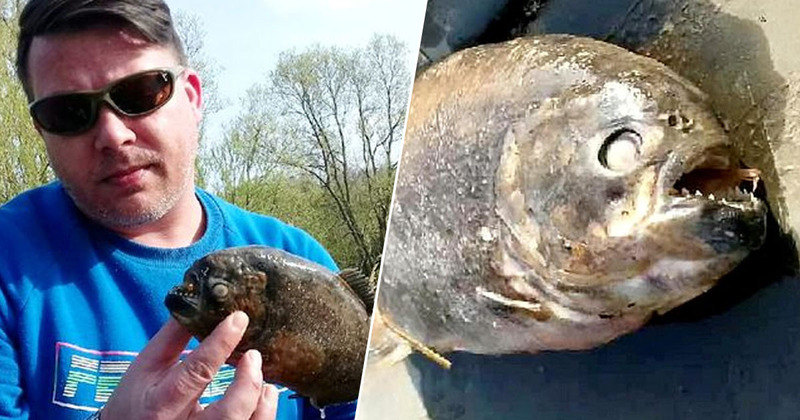 The mysterious disappearance of ducks and fish from a British lake could be explained by deadly, flesh-eating piranhas which fisherman found stalking the waters. 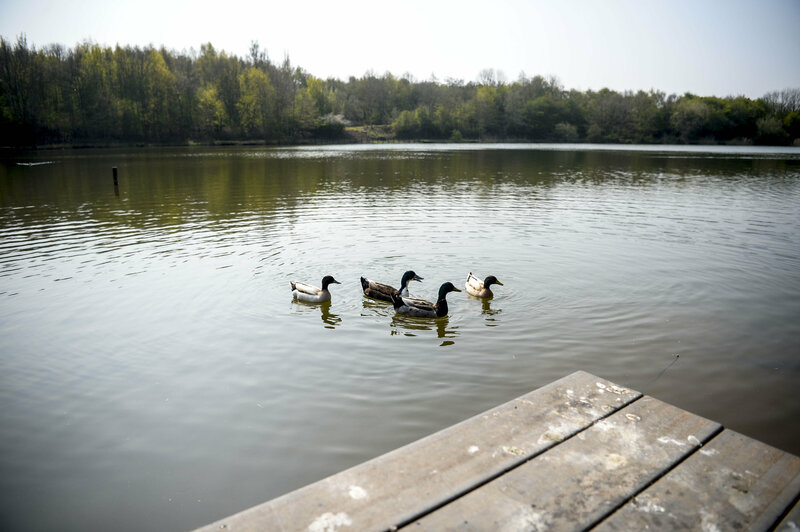 Martinwells Lake in Edlington, South Yorks, was a former clay pit which was transformed into a lovely lake, home to carp, tench, bream, perch, roach, pike and chubb along with usual pond life of newts, frogs and toads. Ducks, coots and water hens all live on the water, and each year swans stop by to raise their young. Even a group of geese had taken up residence there. However, recently locals noticed the abundance of wildlife seemed to be dwindling. This is a popular spot amongst families, dog walkers and fishermen. It’s always busy here. There’s a play park nearby, so you get kids here paddling in the water, teenagers will go swimming here. You wouldn’t catch me going in the water. We came here to feed the ducks and on Sunday we noticed there was only one duck and two ducklings, I’m concerned about where the wildlife is. I’ve spoken to others who have said they’ve noticed there aren’t as many ducks. Toni’s partner Gary Walker often fishes at the site, and he noticed fish hauls had also reduced. Unfortunately, it looks like they might have fallen victim to some of the lake’s other residents. Mum-of-three Lisa Holmes was visiting Martinwells Lake with partner Davey White and their youngest child, Sonny, when they discovered the razor-toothed fish. My partner is a fisherman and was looking around the edge of the lake when he suddenly spotted this fish floating near one of the pegs [fishing platform]. He managed to get it out of the water and although he’s a keen angler, he wasn’t sure what type of fish it was straight away. But then we started looking at it more closely and saw the teeth we realised it was a piranha. We went home and Googled it and its quite clear its a piranha. It was quite a shock. The deadly fish are more common in the scorching climates of South America, so it’s unclear how they ended up in the Yorkshire lake. We couldn’t believe that we’d found a piranha fish. It’s not the kind of thing you expect to find in Doncaster. We presume that it was a pet that someone no longer wanted and they have gone and dumped it in the lake. 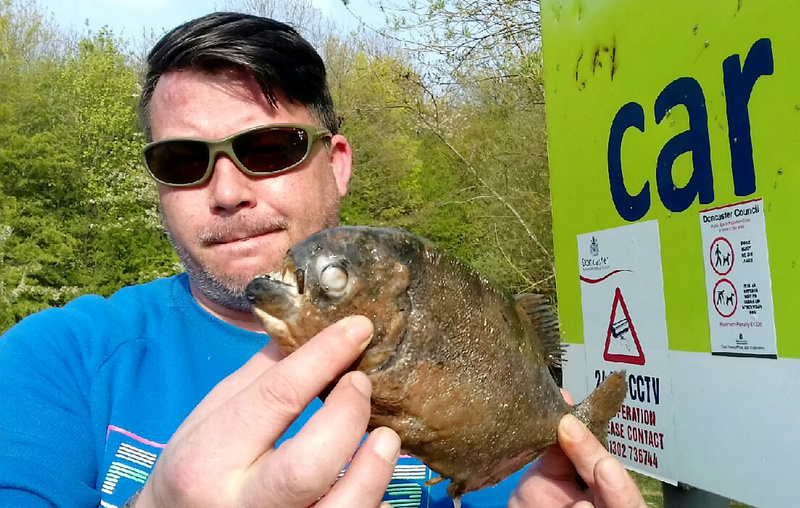 Piranhas attract a certain type of pet lover, and sometimes when the fish gets too large for its aquarium said pet lover decides its much better off in the local lake. In this manner, piranhas have shown up in waterways around the globe from Great Britain to China to Texas. Obviously it’s never a good idea to release them into the wild, as the species could become invasive. 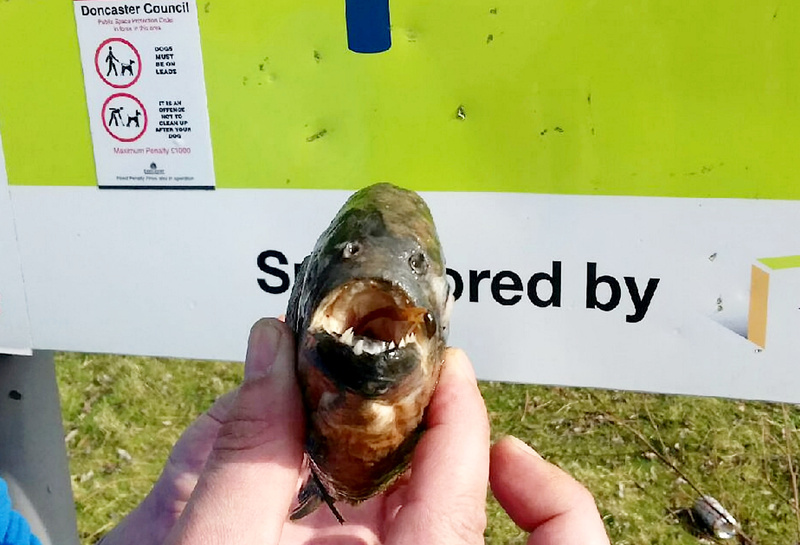 The sightings were reported to the Environment Agency, who will hopefully make sure the lake is a Piranha-free zone.